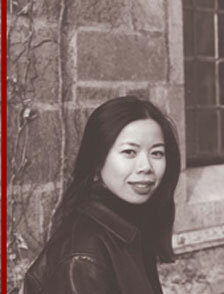 Wabash College’s Visiting Artists Series will present visiting writer, Barbara Tran, 8 p.m., Tuesday, November 29, in Korb Classroom in the Fine Arts Center. One of the most talented young poets in America, Barbara Tran’s readings are both powerful and emotional. She is the winner of a Pushcart Prize, a Lannan Foundation writing residency, a MacDowell Colony Fellowship, and a Bread Loaf Scholarship, among many other awards. Poet Martin Espada calls Tran’s first collection, In the Mynah Bird’s Own Words, "skillful and sensual, full of pain and grace." Contact the Fine Arts Center Box Office by email at boxoffice@wabash.edu or phone: 765-361-6411. Box Office hours are Monday through Friday, 8:30 a.m. to 12 noon and 1:30 to 4 p.m. The box office will open 90 minutes before curtain. Tickets not claimed at the Box Office 10 minutes prior to curtain will be released to the general public.